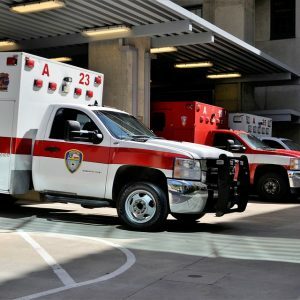 San Antonio, TX (March 25, 2019) – Just before 9:30 p.m., police and emergency crews responded to the scene of a scooter accident in San Antonio. According to police, a man on a scooter was traveling northbound along Navarro Street when he ran a red light and crashed into a car. One individual was injured in this crash and transported to an area hospital for treatment. At this time, the crash remains under investigation. No names have been released at this time. We hope the individual injured in this accident is able to make a fast and full recovery. Fifty-seven people lost their lives during 2017 in scooter accidents in Texas. Although this is typically a fun activity for the rider, it can turn tragic once they enter out on roadways. Sadly, a lot of motorists on the roadways unable to see individuals on scooters before it is too late. Collisions involving scooters and motor vehicles often result in life-changing injuries for those involved. For this reason, scooter accident victims can contact a Texas scooter accident lawyer from the Benton Law Firm to obtain justice and compensation for their injuries. Our knowledgeable attorneys work aggressively to help those injured hold wrongdoers accountable for their actions. Our proven track record demonstrates that we are dedicated to helping those injured get justice. Contact a Texas injury accident attorney from the Benton Law Firm at (214) 219-4878 to see how we can help you.